We are excited to announce our new book! 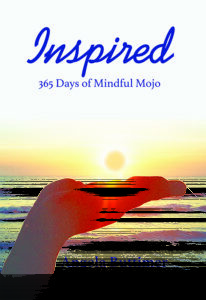 Inspired: 365 Days of Mindful Mojo, is a result of our professional work with our corporate clients, individual clients, and cancer patients over the last eleven (11) years as well as our personal experiences and growth. 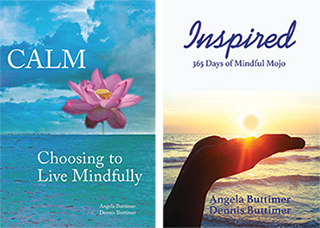 Mindfulness, or what we call Mindful Mojo, offers daily guidance and wisdom to help you connect to your highest and best self. It is our hope that the words we’ve written in this book will provide you with inspiration, motivation, comfort, insight, perspective, and sanctuary. Mindful mojo is about being in the present moment without judgment, empowered by authentic, caring energy. When that happens, positive ripples are produced. The book will be mailed in early January but you can pre-order now to ensure a copy. Go to our STORE page to pre-order. Cheers!